So, you want to toss a little fish on the grill and impress some company? Maybe it’s a smoking hot date that you need to showcase your diverse hunter gather skills to. Or hell, maybe you are just tired of charred weenies and boring burgers (lies, that would never happen). 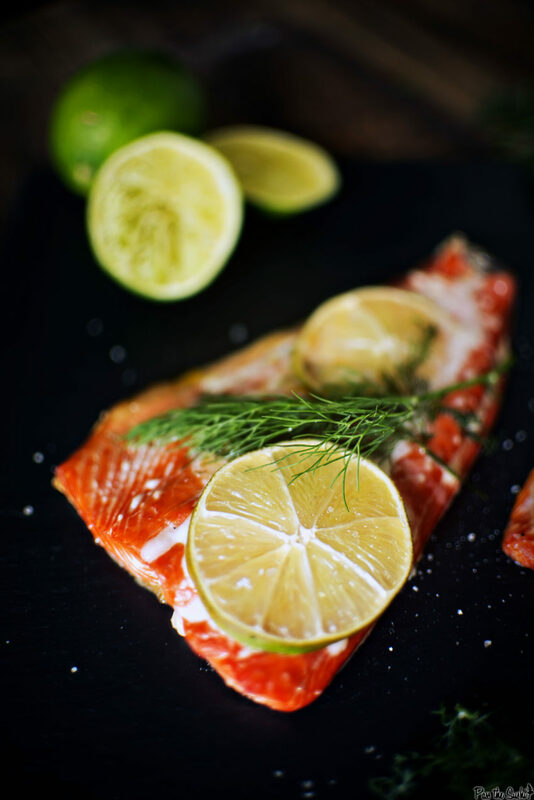 Whatever your reason – the fact that you are even eyeing this recipe up tells me you are looking for light healthy flavors and perfectly cooked fish that you may even try to pass off as healthy (ignore the butter, Julia did). This is it. Relatively quick and painless, this is a fancy looking easy kind of dinner – just takes about 30 minutes of patience while everything comes together. Smoking never looked this classy. 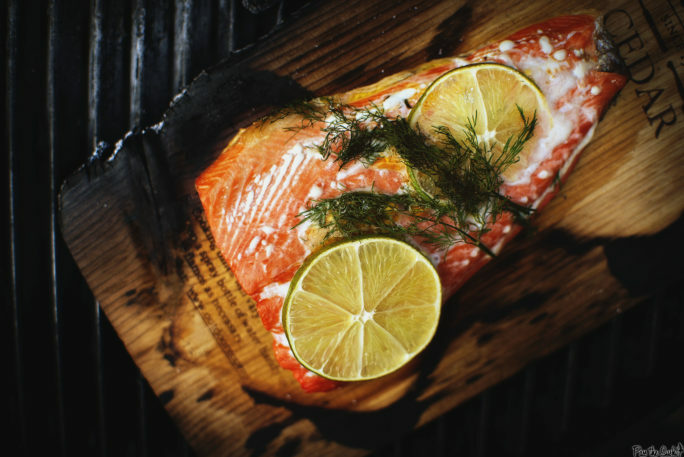 Soak food safe cedar planks for at least 20 minutes before ready to use. Prep a charcoal grill for a moderate fire by using a charcoal chimney to light charcoals and spreading them evenly along the grate one covered in a thin layer of ash. Place the cooking grate in place and allow to heat for 5 minutes. Clean and oil the grate. Place the plans on the grill, cover and allow to get nice and smoky, about 15 minutes. Meanwhile, mash the butter, salt, pepper, juice from half a lime, cayenne, and dill in a small bowl to combine. (Add a little lime zest if you like as well). 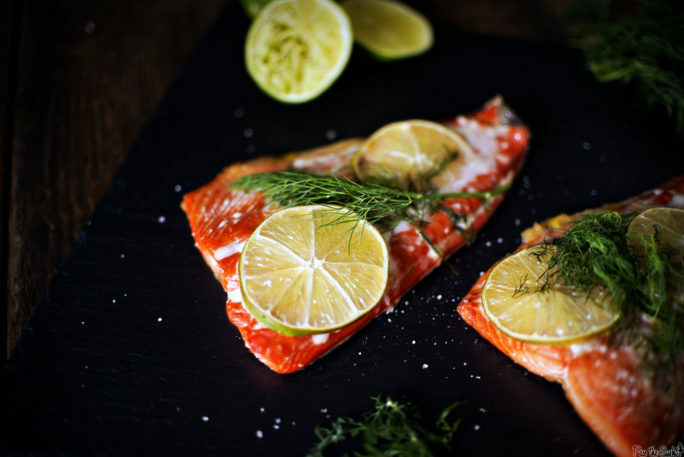 Arrange the salmon on the cooking planks and place a few dollops of lime butter on each. Top with dill or lime slices if feeling fancy. Cover and cook for 20 to 30 minutes until salmon easily flakes with a fork. 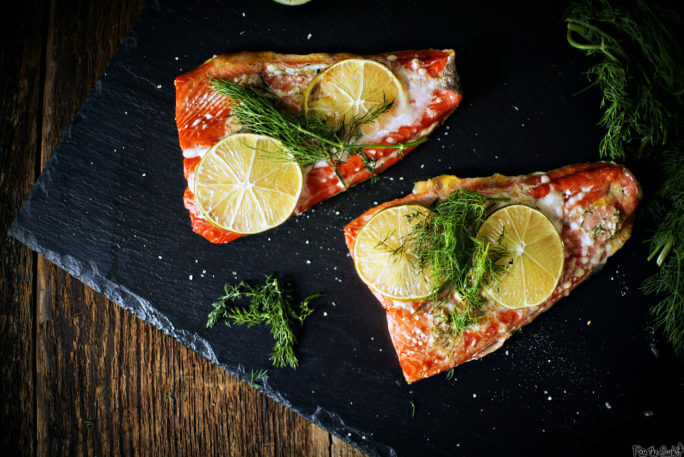 Carefully remove salmon from planks and serve with additional butter melting over top.